The use of bamboo in the eco-friendly lanyards is a great idea. Bought these in a bulk order and they sold really well at my last convention. I love doing business with Custom Earth Promos. They are always spot on with my needs. Always chose Custom Earth Promos over any other eco-friendly company! They deliver customer service like no other company! The CEP team always provides exceptional assistance for my business! Love the quality and durability of all their products! Thank you CEP!! Unbeatable prices. We love to support the earth-friendly business, and this is a great one. I love doing business with Custom Earth Promos. They are always right on the ball with all my needs. The use of bamboo is a great idea. Totally natural lanyards that in all aspects are eco-friendly. Thank you to the design team. My lanyards are everything I'd hoped they would be. I purchased several thousand personalized lanyards. I thought the pricing was unparalleled to any other company. The strength of bamboo is amazing, I'm glad to have my lanyards made out of such material. Print was perfect on my eco-friendly lanyards. We actually had a difficult time coming to an agreement on the design, because of the vast options offered. With eco-friendly lanyards featuring an imprint area of ¾” wide to showcase your logo, your “green” brand presence will grow as quickly as bamboo! Custom Earth Promos’ bamboo lanyards are made entirely of sustainable and earth-friendly materials to ensure eco-optimized exposure. Earn the loyalty of eco-conscious customers and attract new prospects with promotional lanyards that are made with organically grown, 100% natural bamboo. Even the custom graphics are eco-ethical, as we use only vegetable-based pigments in our production process. Our collection of ¾” Bamboo Lanyards exhibit impressive product construction, durability and boast a wide range of potential applications. 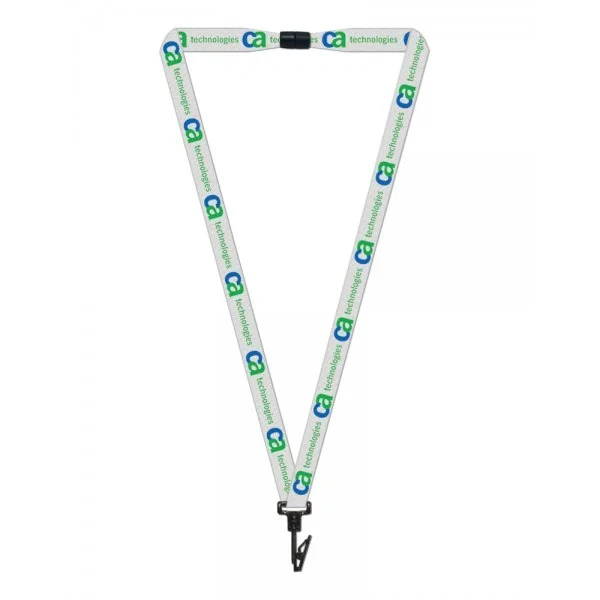 These convenient and competitively priced lanyards are guaranteed to launch your business into a new era of “green” growth. 100% natural bamboo has a tensile strength higher than that of steel, yet the material remains soft to the touch. Bamboo is the fastest growing grass on the planet, producing 3 feet of the incredibly strong material in just a single day. What’s more is that bamboo is a natural antimicrobial with water-resistant properties and grows without the need for any chemical of fertilizer assistance. Secure a more profitable future by establishing a positive social and environmental brand image today. Your exclusive ¾” Bamboo Lanyards will be designed to capture your business and current campaign with each and every detail. Optimize exposure and build beneficial brand recognition with a product that helps to preserve the planet while guaranteeing safety for your audience. Natural bamboo exhibits rapid growth of a highly durable and dexterous natural material that not only thrives without chemical intervention, but also a minimal need for water. This superior quality material is a true miracle of nature. Bamboo provides a highly sustainable and renewable resource that is built to last while causing zero harm to the planet. In fact, bamboo benefits surrounding vegetation and ecosystems through its’ impressive internal PH balancing abilities. When it comes to our custom designed ¾” Bamboo Lanyards, our dedication to sustainable style and optimal personalization truly shines. Eco-friendly products like our custom 3/4” Bamboo Lanyards will build your “green” presence and help to secure future success in market share value, customer loyalty, and long-term profitability. Utilize ethically sourced products made of renewable materials to effectively communicate your dedication to positive environmental and social impact. This will help to position your business as an eco-conscious industry leader. Convenient, comfortable and customized ¾” Bamboo Lanyards will optimize your eco-friendly exposure and ensure success for your next ad campaign, initiative or networking event. 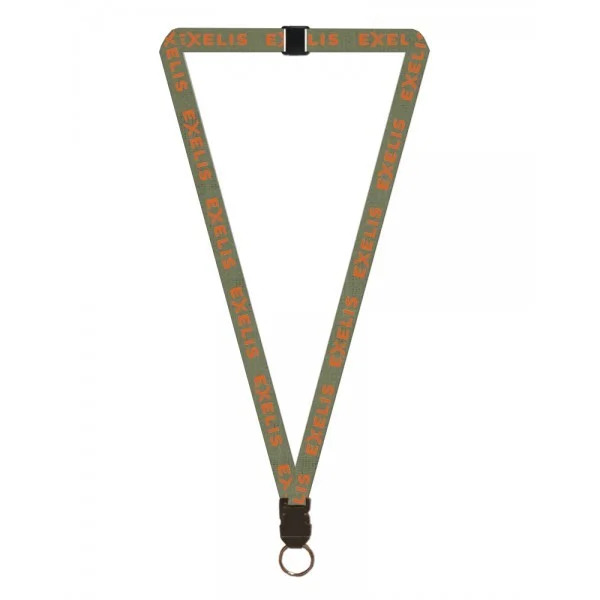 You’ll work directly with a dedicated in-house design expert to build an exclusive design blueprint for your lanyards in the specific length, color, imprints and attachments that best meet your branding goals. With a host of various, yet equally eco-conscious customization options available for your eco-friendly lanyards, Custom Earth Promos guaranteed a final product design that mirrors your campaign with brilliant clarity and embodies your brand aesthetic in superior quality. Build a brand-tailored order blueprint alongside your design specialist in any specific length you desire. 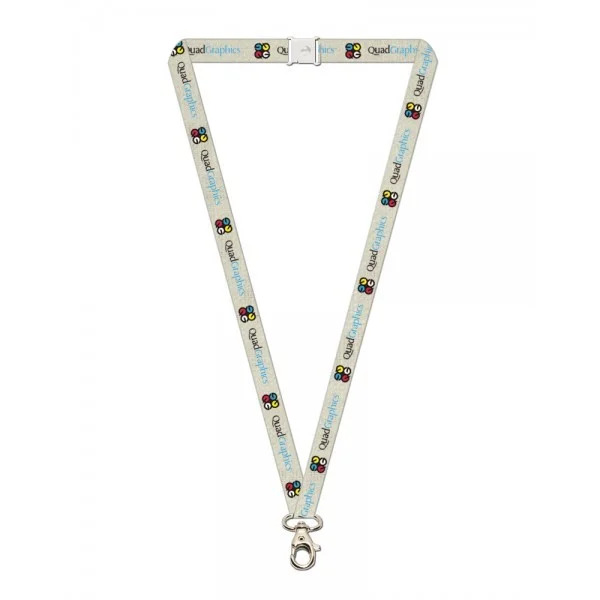 Take into consideration if you’ll need both children and adult sizes and if your lanyards will be meant to be worn on the wrist rather than the neck. Utilize our complimentary PMS color matching service to match the fabric of your ¾” Bamboo Lanyards in any Pantone color. Then, choose a custom graphic imprint such as your logo, a witty slogan or motivating eco-friendly initiative. We’ll render your custom design with earth-friendly inks and coat them with a clear protectant to ensure the graphics last without being rubbed or washed away. A full range of custom options and optional attachments to fully personalize your ¾” Bamboo Lanyards are made available to you by our talented design team. You’ll work directly with one of our in-house design experts each and every step of the way to ensure a final design blueprint that you have complete confidence in. 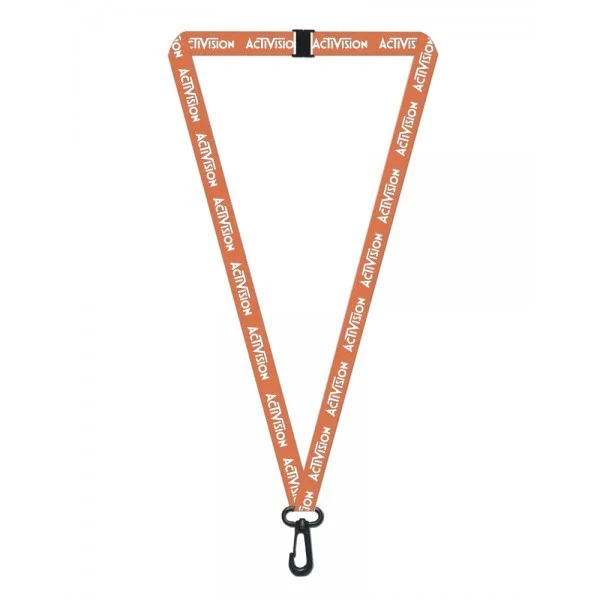 The final design you approve will have the specific length, lanyard color and graphic imprint that best embody the look and feel of your campaign. Custom attachments such as whistles, swivel J-hooks, bulldog clips, sliders, and buckles provide a multitude of options that ensure maximum usage for a minimal price. 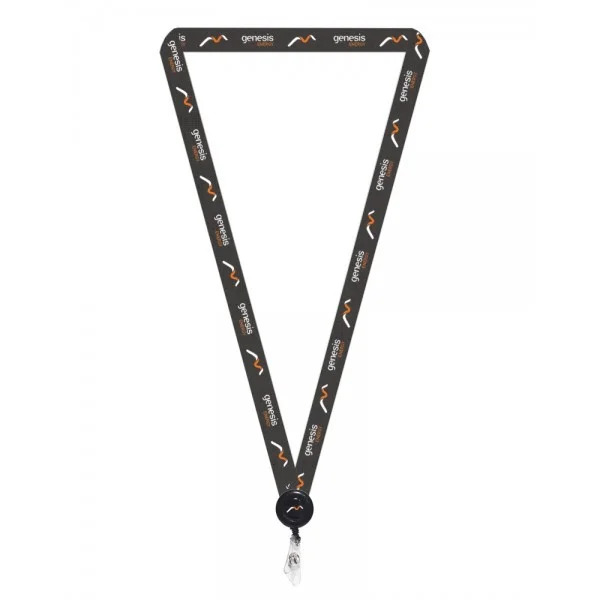 When working with complex, intricate designs that call for multiple color imprints or meticulous renderings, consider ordering a pre-production sample of your lanyards. This gives you the chance to fully inspect your choice of width, length, color, imprints and custom attachments before we manufacture the entire order. Pre-production samples will take approximately 1-2 weeks, and has proven to be a highly beneficial way for our brands to preview their branding tools and move forward with the production process in complete confidence. Start building your custom order of ¾” Bamboo Lanyards today to secure future success for your business.